Dr. Theoharis Theoharides (Dr. Theo), MS, PhD, MD, FAAAAI, is Professor of Pharmacology, Internal Medicine and Biochemistry and Director of the Molecular Immuno-pharmacology and Drug Discovery Laboratory at Tufts University School of Medicine. He has done over 20 years of research into mast cells and brain inflammation and published 300 papers. His research has shown that mast cells are one of the master regulators of the immune system, directing immune system response and controlling inflammation. Dysfunction of mast cells has being found to be the source of many autoimmune diseases and conditions. In the rising tide of modern day diseases and ailments there is a single type of cell in the body that affects almost all of them, from autism to ADHD, cancer to Alzheimer’s, fibromialgia to Parkinson’s, and more – mast cells – and Dr. Theoharides’ research is providing new targets for treatment. Recent research has proved mast cells act as orchestra conductors in the immune system, controlling reactions from allergies to inflammation, and a wide range of other immune regulation functions. Their effect is wide ranging, influencing attacks on viruses and bacteria, intestinal movement, gut bacteria, and adrenal and pituitary function. If mast cells get overwhelmed, they can “degranulate” (think explode), releasing too many immune molecules at once. This is needed for a major immune response like a traumatic injury, but if this happens too much, a chain reaction starts that leads to an autoimmune-like response. Once this chain reaction starts, the protective gut–blood and blood–brain barriers are quickly broken down. Once the blood–brain barrier is penetrated, the immune system of the brain, microglia, reacts. This interaction between the mast cells and the microglia is a Brain immune Storm. Dr. Theoharides has developed a natural way to calm mast cell activation. The flavonoid Luteolin has been shown by multiple researchers to stop the mast cell activation chain reaction. Since Dr. Theoharides could not find any supplements with pure sources of Luteolin, and since Luteolin is hard for the body to absorb, he developed a supplement called NeuroProtek, produced by Algonot. How might NeuroProtek® be helpful? The active ingredients in NeuroProtek: Luteolin, Rutin, and Quercetin were selected to provide the maximum antioxidant, anti-inflammatory, mast cell inhibitory, and neuro-protective effects. The peptide neurotensin that can be released from the gut or the brain, and was recently shown to be increased in the serum of autistic children, can stimulate mast cells to release molecules that disrupt the barriers. Luteolin acts mostly in the brain to reduce barrier disruption and brain inflammation, while rutin does so in the gut. Quercetin mostly inhibits mast cells and is preferentially metabolized in the liver to permit Luteolin to act. 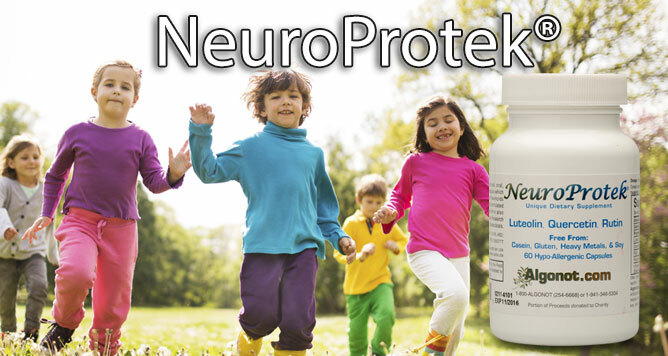 The benefits of NeuroProtek in reducing inflammation, overactive immune function and allergic response, well known to those in the autism community, may also benefit children with a diagnosis of PANS or PANDAS. 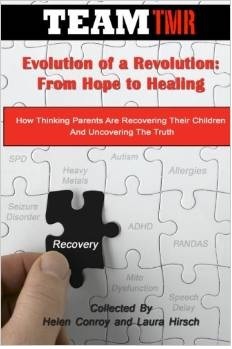 The Thinking Moms’ Revolution is grateful to Algonot for generously sponsoring our upcoming FREE online conference PANS/PANDAS: Comprehensive and Novel Treatment Approaches to Heal the Microbiome on April 5th from 9 a.m.–5 p.m. EDT. 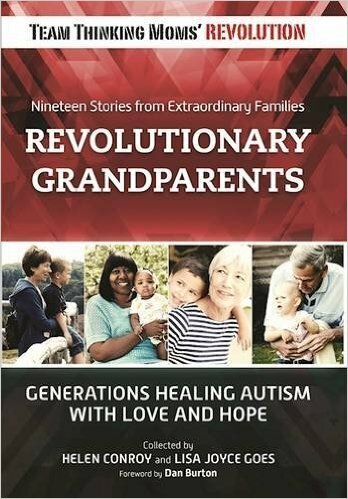 This entry was posted in Blogs by Thinking Moms' Revolution, PANDAS sponsors and tagged Algonot, brain inflammation, Dr. Theo Theoharides, mast cells, NeuroProtek. Bookmark the permalink. We are beyond upset with this company! We ordered NeuroProtek for child and every time we gave it to him he threw up. I just happened to notice EXPERIATION date on bottle is 08/2015!!!! Are you serious! We just received this about month ago and it’s 2017!!! A note of caution: some people cannot take Quercetin — I know someone who is COMT++, has slow MAO variants and MTHFR issues, and taking Quercetin makes her crazy angry. Eating quercetin in whole foods is generally just fine, but just pounding down onions every day can be too much. Please be careful with this supplement: start slow, and stop if you get symptoms of high glutamate, etc. Ideally get a genetic test for COMT, MAO genes, and MTHFR issues first, which might help you decide if this might be problematic. Thanks, Tim! That’s really great information to have. Tim can you please explain how the high glutamate can occur with quercetin? I am concerned as a mother of a child with epilepsy and autism. It’s always hard to know what’s actually happening 🙂 But here’s what I think is going on. Neurotransmitters are removed by enzymes. The enzymes that clear them are made via the COMT and various MAO genes. Some people have much slower clearance of neurotransmitters, some have much faster. When you have slow clearance, it is easier to get overstimulated, and much slower to clear the overload back to a good level. 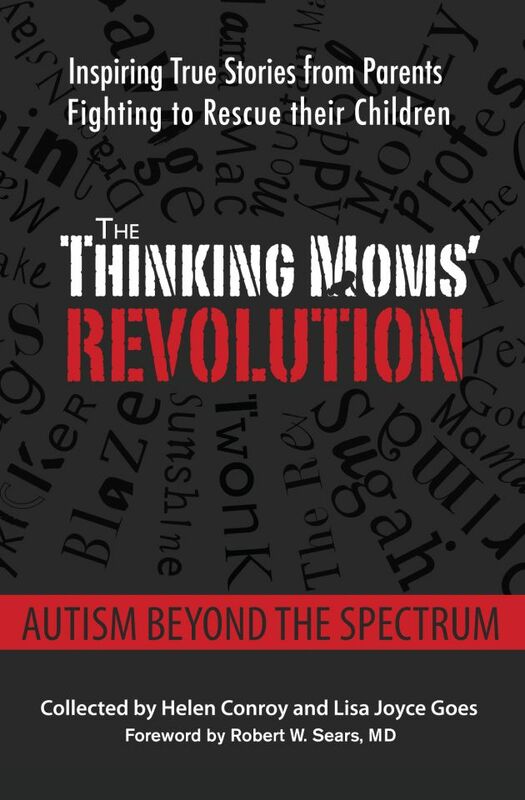 The neurotransmitters that are critical for autism are GABA (calming) and glutamate (stimulating — severe dysfunction and/or epileptic when too high). All the neurotransmitters are interrelated, and raising other transmitters can raise glutamate, and vice versa. Inflammation raises glutamate. So when you slow down clearance by blocking MOA enzymes with quercetin, it makes it much easier for too much glutamate to build up. For many people quercetin works great — it blocks mast cell release so lowers histamine, and that lowers inflammation and lowers glutamate. But there is a tradeoff: for some people, too much quercetin can cause the brain to be overstimulated and glutamate to skyrocket. Thank you for that explanation. My child is heterozygous for COMT/V158M and COMT/H62H. Also is homosygous for MAO A/R297R. He has many mutations and is slow to rid the body of ammonia. Also has many BHMT heterozygous mutations so I have to be careful..Really careful with. He has is frequently stimming. Waiting to here back from potential genome studies. Waiting for WES, regression of speech at 4 years old. WES doesn’t do anymore SNP’s. I know for sure he cannot tolerate Molybdenum. His GABA doesn’t function the way it should so I have to use ketogenic diet and at the same time that doesn’t work if he has too high of temperature. It lowers the severity of seizure. I am waiting to find out more with labs on potential germline variants. I feel this whole thing could be solved if I could get to the bottom of what has influenced the Gene switches and their regulation. At times I wonder if Aluminum somehow messes with DNA and RNA thus causing this spiral in the first place. I realize in some phenotypes it is an obvious Mast cell response but I cannot help but wonder what is making things so hypersensitive overall. Hypersensitive Mast cell response and messing around with Gabergic functioning. Let me know what you think here. Sounds like you are thinking along the right lines! Aluminum, mercury, lead, fluoride all affect proper enzyme production and neurotransmitter/hormone balance. You can reduce aluminum via silica. We haven’t found any silica supplements that work for us, but the horsetail capsules from Mountain Rose are high silica and don’t cause any issues. For mercury/lead you have to use Cutler’s frequent-low-dose chelation protocol, David Hammond’s book Mercury Poisoning is a good starting point. For fluoride you have to reduce intake and titrate up iodine to clear it, Melissa Gardner’s book The End of Acne is great (it’s really about fluoride). Vitamin E is very helpful for calming inflammation and reducing histamine, you could try Unique E at 400IU or 800IU/day (1-2 capsules/day split doses with food). You could also try oxaloacetate and/or pyruvate to reduce glutamate in the blood, which pulls it out of the brain and helps calm things down. Hey, Tim, just wanted to let you know that according to Dr. Chris Shaw, aluminum guru, silica supplements won’t help. It has to be silica dissolved in water, such as Fiji water. He has a couple of recommended protocols. Hey, thanks! Good to know re the silica.